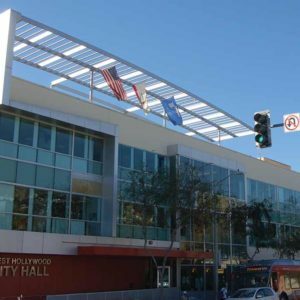 West Hollywood is supporting APLA Health’s Food and Hygiene Drive by accepting donations of non-perishable food and personal hygiene products at City Hall, 8300 Santa Monica Blvd. The drive runs through Friday, Dec. 29 and helps people living with HIV/AIDS. Donations will supplement groceries available through APLA Health’s Vance North Necessities of Life Program. Suggested donations include whole-grain cereal; canned meats, fruits and vegetables; chicken and vegetable stock; peanut butter; cooking oil; juice; evaporated milk; and coffee and tea. Toothpaste, shaving cream, shampoo, mouthwash and other hygiene items are also needed. For a list of requested items and additional drop-off locations, visit aplahealth.org/fooddrive.